Although this blog deals mainly with PT/35(b), it is nevertheless useful to keep in mind that it was discovered in the collar of a grey “Slalom” shirt because the story of this shirt is not free of anomalies. Here is one that I described in a short piece  in July 2011. The SCCRC eventually confirmed the findings but concluded that Dr. Hayes had made an honest mistake. Chapter 7 of the SCCRC report deals with this issue in details. “There is something very peculiar about PI/995. In his report, Dr Hayes presents photos 116 and 117 as pictures of PI/995 before and after its dissection that led to the discovery of the MEBO timer. “At the trial, Dr Hayes confirmed that information. The exchange went as follows. Q Could we return to the report now, please. And if we could have photograph 116 on the screen, that’s of Production 181. Do we see “PI/995” in the bottom centre of the photograph? A Yes, sir. 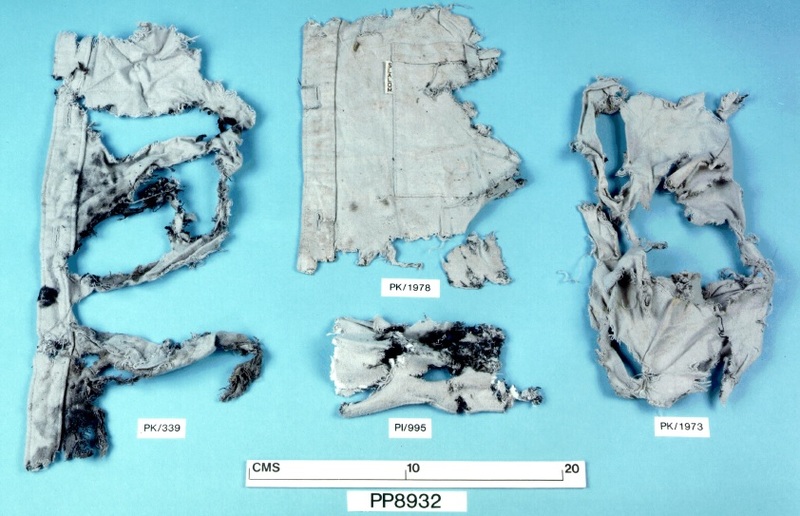 Q And the report tells us that, “This is a severely damaged fragment of grey cloth which is shown after its partial dissection in photograph 117, and at the bottom centre of photograph 116 (before dissection).” A Yes, sir. Q Are we seeing it, then, before dissection in this photograph? A Yes, sir. 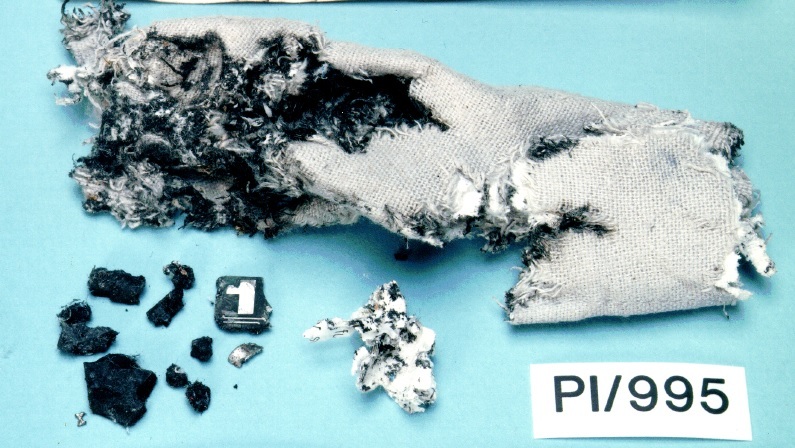 “Dr Hayes examined PK339 and PK 1973 on May 22 1989. PK1978 was examined on October 10 1989. “Therefore it is rather obvious that PI/995 could not have been dissected before October 10 1989. And the key piece of evidence that led the investigation towards Libya could not have surfaced before that date. “The US investigators (FBI) were told about it for the first time on January 10 1990. I have to say I’m inclined to believe that Hayes made a mistake. He wasn’t the most meticulous worker in the first place, to put it mildly. And bear in mind he gave up forensics completely in 1990 and went off to retrain as a chiropodist. He’d been trimming toenails for ten years and presumably thinking of nothing but toenails in that time, before he was called back to give evidence at Zeist. It’s perfectly plausible that he made that mistake. Not only that, PI/995 seems unfolded in picture 116, and to my mind slimmer. If I was asked to guess with no further information, I’d go for post-dissection.